Enjoy this homemade fresh salsa recipe just in time for Cinco De Mayo! Cinco De Mayo is right around the corner! Making your own homemade fresh salsa is a great way to celebrate! Homemade fresh salsa is by far the best warm weather treat. But really salsa is great anytime of the year. We have provided an amazing homemade fresh salsa recipe to celebrate Cinco De Mayo and the warmer weather. Homemade fresh salsa is on a completely different level than the commercial store bought brands. For one, it tastes so much better because its fresh! And for two, it does not contain any preservatives or artificial sugars that many store-bought brands do. If that isn’t enough to convince you, we have a list of the health benefits of fresh tomatoes, like the ones we use in our homemade salsa recipe. Are you stressed? Tomatoes are a great source of vitamin C, which provides nutrition to the adrenal glands and reduces stress. Tomatoes provide contain 40 percent of your bodies daily requirement of immune-boosting nutrients. They reduce the risk of heart attack. Tomatoes are full of potassium, which lowers blood pressure. Organically grown tomatoes usually have a high level of lycopene, which is a carotenoid that helps prevent cancer cells from growing. Research has found that lycopene that is found in tomatoes can help protect your body from skin, lung, breast, bladder, and prostate cancer. Tomatoes contain vitamin K, which strengthens bones and helps to prevent osteoporosis. So tomatoes are great for your health! And they are the main ingredient in our homemade fresh salsa. Store-bought salsas are a sad and soggy comparison to the fresh stuff. 4-5 medium sized fresh tomatoes. Remove the stems. Begin by chopping your tomatoes, we recommend using heirloom tomatoes, into rough chunks. When it comes to chopping the chili peppers you will want to use caution. You may want to wear disposable glove or use a plastic bag to touch the pepper. Once you are through chopping the pepper wash your hands thoroughly and avoid touching eyes. The heat of your salsa will depend on the heat of the chili pepper so you will want to set aside some of the seeds in case you want to turn up the heat on your salsa. Add the salt, pepper and ground cumin to taste. Store in a bowl and cover. Let the salsa sit in the refrigerator for a couple of hours so that the ingredients have a chance to mix. If you want even more heat add cayenne pepper to taste. This salsa will be chunky if you prefer a smoother salsa just toss it in the food processor and give it one or two burst. Be careful not to overdo it, you don’t want a salsa baby food! Serve with tortilla chips, tacos, quesadilla, burritos, or whatever else you want! Making your own homemade fresh salsa is worth the work. And if you want to go even further you can start your own vegetable garden and grow all the ingredients yourself! Making your own salsa is a healthy alternative to the pre-packaged commercial salsa. It tastes a whole better and fresh. Making your own homemade salsa or meals can take a little extra time but it is worth the health benefits for you and your family. Not to mention tastes better too. 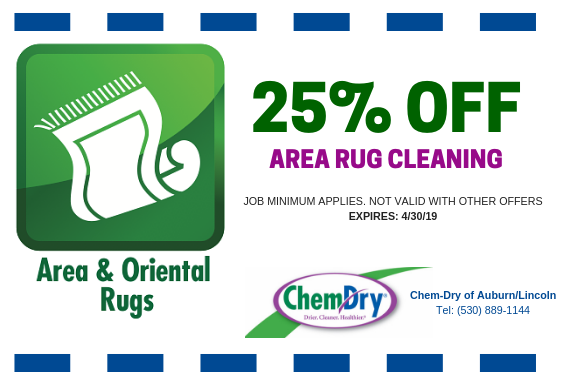 Chem-Dry of Auburn/Lincoln carpet cleaning services is eco-friendly. 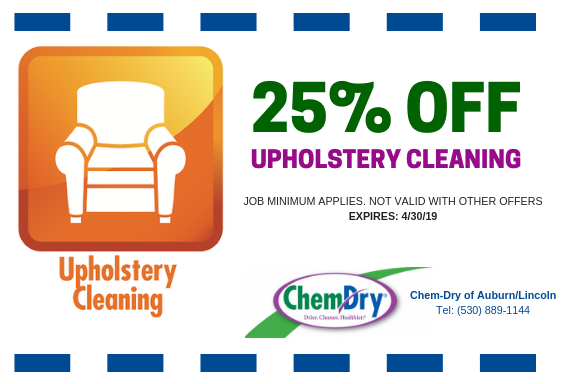 We are all about carpet, upholstery cleaning and stain removal that is safe and healthy for you and your family. Our cleaning solution The Natural® is green-certified and soap-free. It uses the power of carbonation to bring embedded dirt, dust and toxins to the surface. Other carpet cleaning services rely on soap and excessive water. Unfortunately, completely removing soap from carpet is a difficult task and that is why they rely on using gallons of water. If the soap is not completely removed from the carpet it will attract dust and dirt and become discolored over time. Carpets left damp will lead to mold and mildew, which is not healthy for you or your family. Chem-Dry of Auburn/Lincoln does not use soap so there is no need for excessive rinsing. 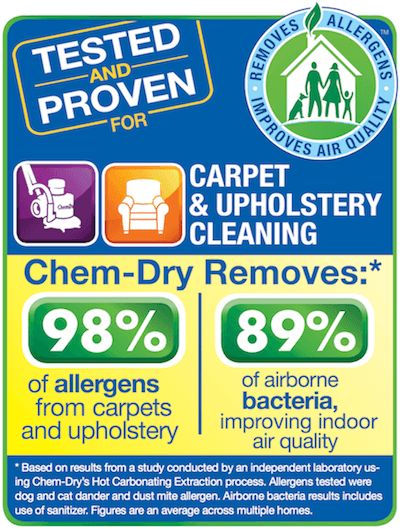 Our carpet cleaning service is healthy for your family and healthy for the environment. 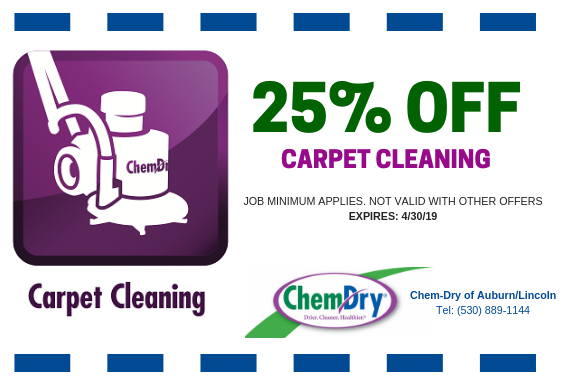 To learn more about Chem-Dry of Aurburn/Lincoln carpet cleaning services contact us at (530) 889-1144.